Uncle Cecil was my dads Uncle. He was born 1911 at Southfield Pen Great House, Saint Elizabeth, Jamaica to Mass Teddy and Grandma Mabel. A middle child of their nine children, his full name was Walter Cecil Hodgson but he preferred to be known by his middle name Cecil. After much travelling in his younger days, he emigrated to England. Not owning his own property, he moved from one lodging house to another. Eventually he brought his own home in West Bromwich when he met and married his new wife Ellen Frances Kirkpatrick in 1957. I have very fond memories of Uncle Cecil and Aunt Ellen. We often used to visit Cecil’s West Bromwich home as children and affectionately called him Uncle Tetta. Their home was busy, always full of people. Friends, relatives or lodgers. We had many happy times there. As I grew to be an adult those visits would become much less frequent. In 1983 Cecil attended my West Bromwich wedding and made a speech. His wife Ellen made us a beautiful Jamaican wedding cake. Cecil had a very interesting life. He was a multi talented man. 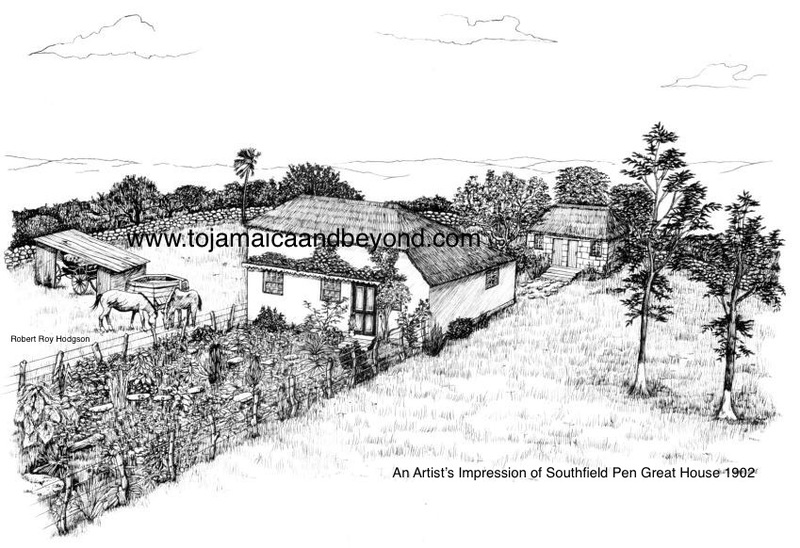 In Jamaica he rode horses as a Jockey, played the guitar and banjo, was an excellent cricketer, a horticulturist. In England he became a church warden, gave accommodation to Jamaican emigrants, helped the poor, and the list goes on…. He was also a keen historian of the family, very knowledgeable and loved to talk about our history. I did not hear him speak of these things, I didn’t know anything about his life. I never asked him. When he first came to England, Cecil lodged in a house with other newly arrived Jamaicans. One of whom was my mum’s Uncle. It is through that connection and friendship that my parents would eventually marry. Mum also told me that Cecil had said to her “most of the money was is in Scotland” He wanted dad and his brother’s Valdie and Clinton to save up their money so they could all make a claim on it. Cecil kept all the old papers and evidences related to it in an old trunk at his home. He once showed my dad an old will dated 1751? This was in the 1950’s. Decades later, dad could not fully remember what it was all about. He thought it was a will belonging to the Bromfield family? From what he could remember reading in it, he presumed that the Hodgson’s had been money lenders in Scotland? It was all a bit hazy and unclear. Cecil had two brothers and two sisters living in America. May, Maurice, Linton and Hortense. They were all residents of New York. His two eldest siblings, May and Maurice had looked into this Scottish inheritance from America. After retiring in West Bromwich, Cecil and Ellen eventually moved back to Jamaica in 1989. They settled at Southfield, Cecil’s birthplace. I never saw them ever again. He took all his personal belongings with him, everything including the old trunk, and other memorabilia. He took his old family photo album collections with him too. Cecil died in Jamaica 7 years before I took an interest in our family history. Sadly, I never got the chance to talk to him about our past. How I wish I could turn back the clock. Such a huge disappointment. On a positive note though, I am proud to have taken over his role of family historian. For years I have taken a huge interest in his past life and have diligently researched how he lived. I also solved that ‘Scottish puzzle’ that he often spoke about. All will be revealed at another time…. Next Next post: Why Run A Blog?